The other day, my father and I discussed whether Ted Cruz challenger Beto O’Rourke might run for President in 2020. “I like him, but he doesn’t have enough experience,” my dad said. And then we looked at each other, recognition flashing across on my father’s face, and we laughed, and laughed, and laughed, and oh did we laugh. Then, we cried. I’m still trying to put off thinking about 2020 until after November 6, but there’s been a lot of talk about Beto’s future plans, whether or not he manages to unseat the U.S. Senate’s resident ball of ambulatory mucus in next week’s midterm election. 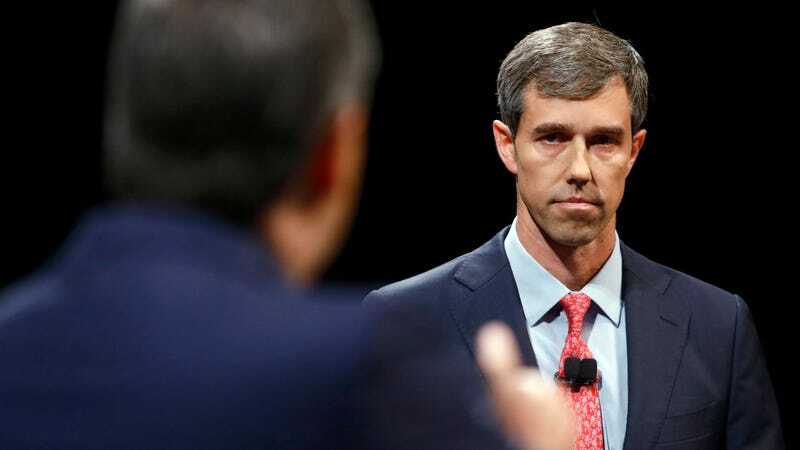 But on 60 Minutes on Sunday night, Beto said he had no plans to seek higher office—in fact, he definitively said he would NOT. Certainly, that sounds definitive. And I can imagine that if I were running in a tight Senate race somewhere that hasn’t elected a Democrat in a statewide race in 24 years, that I would be reluctant to drop hints about looking for my next gig, especially if one of my key talking points had focused on how much time my opponent wasted making his own failed presidential run. On the other hand, if Beto loses—a likely outcome for now, despite the fact that every single person I know is currently phonebanking for him—he just got himself stuck in a tough corner, since if he does end up deciding that all that enthusiasm he garnered during this campaign could go pretty far in 2020, it’ll be easy for a challenger to use the 60 Minutes clip to argue he goes back on his word. That’s a slightly more compelling knock against him than pointing out how smokin’ hot he was back in the 1990s.